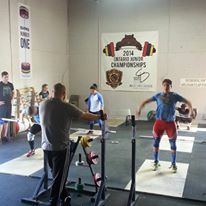 This past weekend we had the privilege of hosting the OWA (Ontario Weightlifting Association) Senior Camp at Radix. We had a blast watching some of the best weightlifters in Ontario refine their craft and make #gainz in their lifts. We also had the privilege of teaching them some of the amazing things we offer at Radix. I got to teach them some agility and boxing skills while Rach taught them the importance diet plays in their training. We also taught them some new mobility tricks to keep their bodies functioning at the highest level. These guys and gals were awesome! Training twice a day Friday through Sunday! Just monsters!